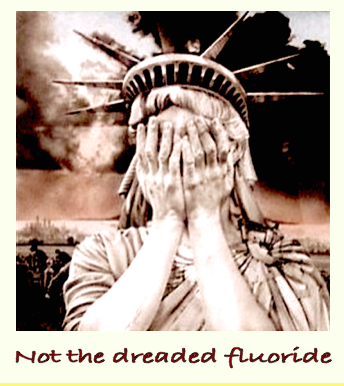 Forced-fluoridation is an act of indiscriminate and ongoing violence against everyone who is subjected to it. In a democratic culture forced mass medication would not even be contemplated. It is part of the fluoridationist modus operandi to claim that forced-fluoridation has been scientifically proven to be safe and effective, a claim which comes straight from their ‘parrot masters’ at the US Centers for Disease Control and Prevention and the American Dental Association. Fluoridationists like to throw the words “science” and “evidence” around. You need phosphate rocks in your head to think that fluoridation is efficient. The pro-fluoride arguments do not become any more sensible with repetition, or time. It is hard to fill teeth made brittle by fluoridation.